Discover the ancient history and traditions of a famous Hebridean clan - the Morrisons - with a three day tour from Inverness to the Isle of Lewis and the Isle of Harris. Day 1 - An early start from Inverness to the coastal village of Ullapool where we board the ferry for a 2½ hour journey across the Minch to the Isle of Lewis in the Outer Hebrides. From there we spend the afternoon exploring the ancient lands of the Morrisons of Lewis. We visit Dun Èistean, a sea stack (now connected by a bridge) where the Clan Morrison once had a formidable stronghold. We also spend time at the Ness Historical Society to learn a bit more about the local area - which even to this day is still dominated by the Morrison surname. Before our return to Stornoway (my native town) for our overnight stay we visit the ancient standing stone, Clach an Turshal, and though much older, more recent folklore considered it to be a marker for the final great battle between the Morrisons and Macaulays of Uig. Day 2 - Departing from Stornoway we head south to the Isle of Harris to explore the lands of the Morrisons of Harris. They were historically linked to the small off-shore island of Pabbay and while we are unable to visit that island we do take in the scenery and sites of the surrounding area. 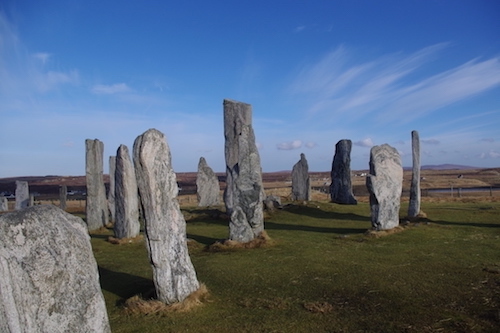 In the late afternoon we head back to Lewis to explore the standing stones of Callanish and the Dun Carloway Broch. Though built many centuries before the Morrisons were established on the Isle of Lewis, folklore recounts the Broch's use by the Clan Morrison during raids on the Macaulays of Uig. Day 3 - On our last morning on the Isle of Lewis we explore the main town of Stornoway and the surrounding district, including a visit to Museum nan Eilean, home of the Lewis chessmen. We then board the early afternoon ferry for our return sailing across the Minch to Ullapool followed by a final drive through wonderful Highland scenery back to Inverness.